Yeah, golf's weird that way. Played this morning at the Old American Golf Club on the edge of Lake Lewisville. It's nothing like Muirfield at this week's British Open in Scotland - except for the throwback shoulder-high flagsticks, that is - but it resembles few courses in and around the Metroplex. Old American's premise is to take you back to the early 1900s, when golf was pure and the courses were natural. They say the layout is "touched, but not manipulated." You'll find hard, fast, but fair greens. A gazillion (actually 139) bunkers. A smidge of the lake. And a forget-about-it-the-weeds-are-shin-high-and-there's-probably-snakes-in-there second cut of very rough rough. Crafted by Dallas' Justin Leonard, Old American (even at the $125 green fee) is one of the best public tracks in Texas. Where else around here can you be reminded of Shinnecock Hills? Played with Pops and The Choppy's, Ralph and R.J. 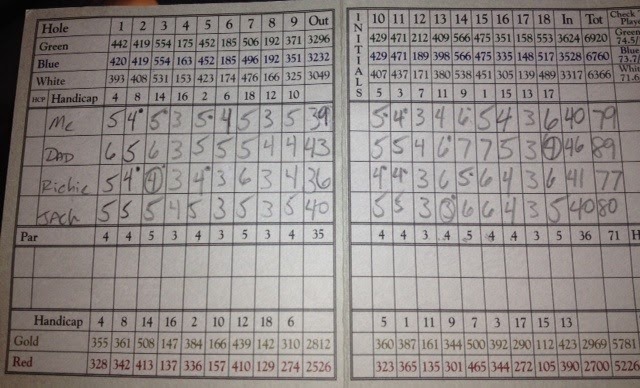 Honestly, 'twas my best round of 2013. 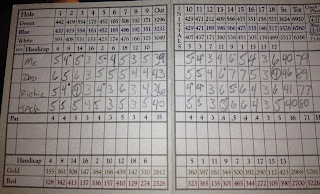 My 77 (36-41) featured one birdie, 12 pars, two double-bogeys and a handful of up-and-downs and more than a few 9-foot putts. But do I have room to complain? You betcha. And, remember, when you play Old American you'll step back in time. Except for the GPS on the carts. No, wait, in closing you know the only thing better than shooting 77 in the morning? 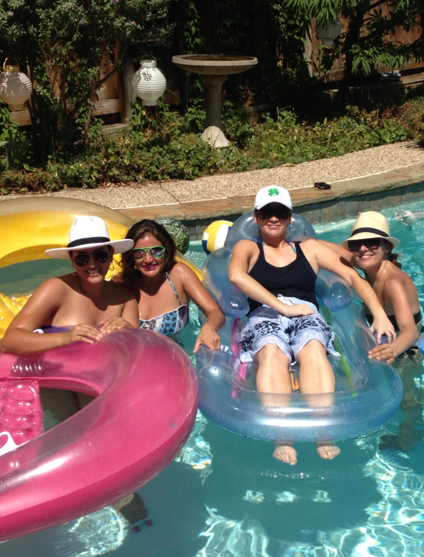 Coming home in the afternoon to find Susy Solis, Sybil Summers, Fiona Gorostiza and Jasmine Sadry in your pool. Pics or it didn't happen, right? Fiona is naked, not going to let you talk me out of it. I believe this as much as I believe your on-air marathon claims.